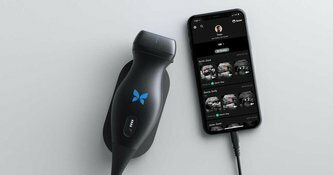 The used Butterfly iQ is unlike traditional ultrasound machines as it uses a single probe to be connected to an Apple iOS smartphone or tablet (iPhone or iPad) using the Butterfly iQ app. 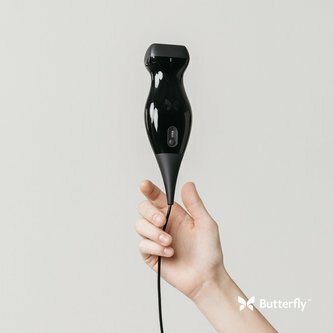 The transducer of the subscription-based Butterfly is a unique design. It looks most like a sector transducer, however, its new probe technology allows it to perform like a sector, linear or convex transducer by using semiconductors instead of piezo-electric crystals. Images are stored in the Butterfly Cloud network of servers, from which images can be viewed. 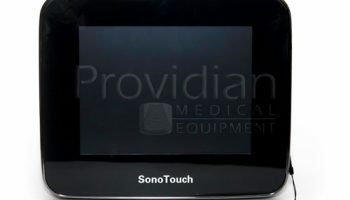 This is a subscription-based ultrasound in which you purchase a transducer and use its iPhone app as a user interface. 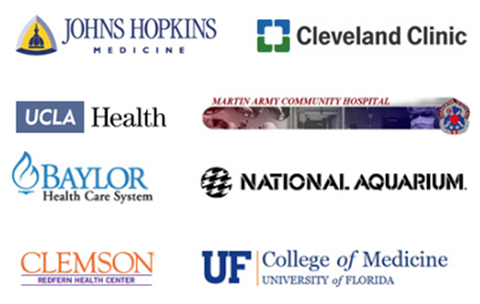 Users must also purchase a monthly or yearly subscription to use the transducer and its cloud network. User licenses can be purchased for individuals or multiple licenses for multiple users. 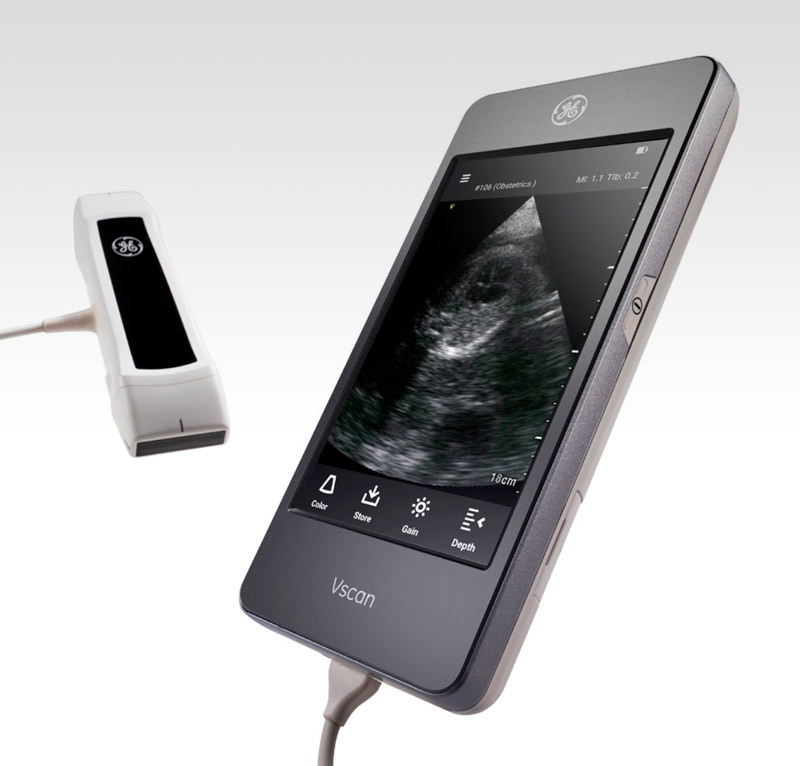 The Butterfly iQ competes most closely with the popular GE Vscan Extend and SonoSite iVIZ handheld ultrasound machines. 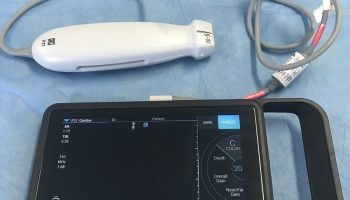 As one of the most highly anticipated handheld ultrasound machines, the Butterfly iQ was slow to release as it worked to perfect this one-probe handheld ultrasound. While it is very versatile with its probe design, initial testing showed image quality to be generally inferior to its competitors. Later releases are expected to improve image quality. Dimensions 0.7 lbs, 5.6" x 2.0" x 1.0"
Q: If I purchase the transducer, why do I have to buy a subscription? A: In order to use the app and the probe, the Butterfly iQ uses cloud-based image storage and continued app updates. Q: Is the probe a sector or a linear? A: It is both, and also a convex transducer. Its new probe technology does not use traditional piezoelectric crystals. It uses a single silicon chip that can produce images in a sector, convex, or linear format. Q: What is the subscription cost? 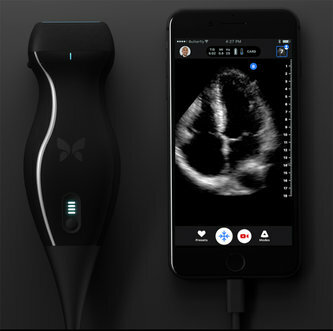 A: Subscription costs vary on the Butterfly ultrasound probe depending on the number of users (iOS licenses). Q: What is the battery life and charge time? A: Scan time is up to 2 hours depending on which imaging modes are used. Time to achieve a full charge is up to 5 hours via a wireless charger. Q: Are images on the cloud secure? A: The app uses 256-bit encryption and is HIPAA compliant. 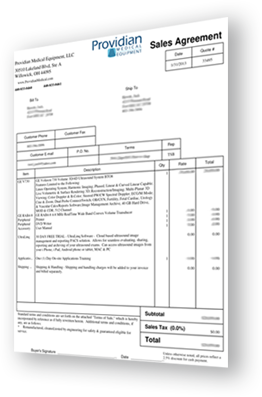 I want a free price quote on the Butterfly iQ, send it today!